McDonald's is adding new breakfast sandwiches with 3 times as much meat to its menu. Here's how they actually taste. Hollis Johnson/Business InsiderMcDonald’s has a new breakfast item: Triple Breakfast Stacks. 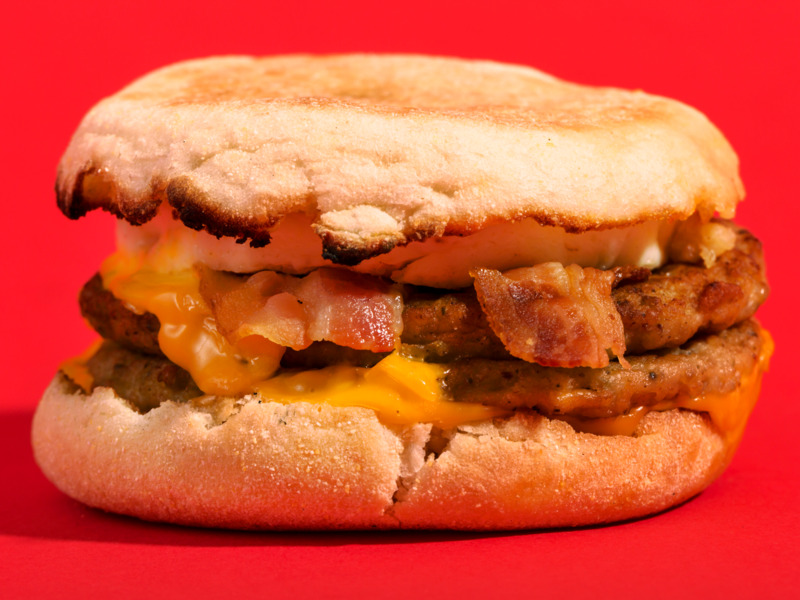 McDonald’s debuted Triple Breakfast Stacks – breakfast sandwiches with three times as much meat – on Thursday. The Triple Breakfast Stacks are McMuffins, McGriddles, or biscuits that contain two sausage patties each, plus bacon slices. 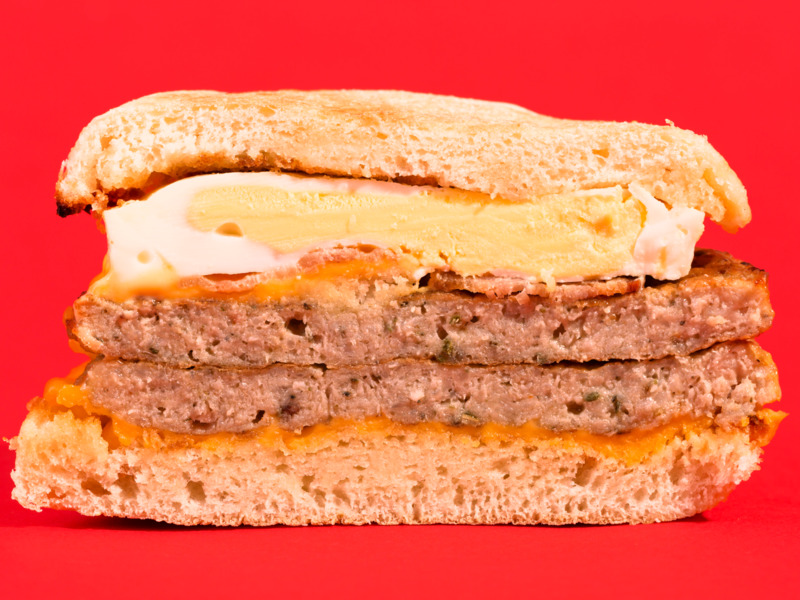 We taste tested the Triple Breakfast Stacks and discovered a disgustingly delicious new set of breakfast sandwiches. 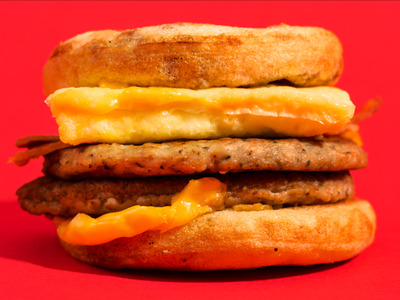 The meatiest McDonald’s breakfast sandwiches ever have arrived. 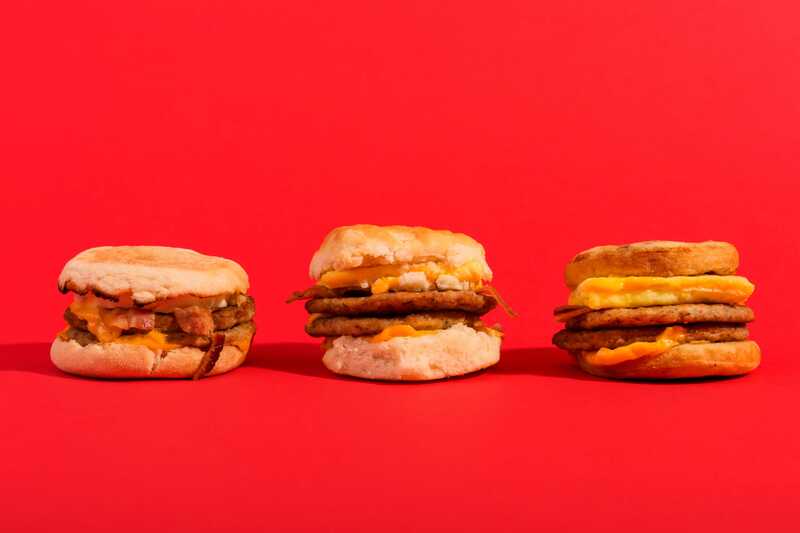 On Thursday, the fast-food giant debuted Triple Breakfast Stacks – essentially revamped versions of the biscuit, the McMuffin, and the McGriddle, with three times as much meat as the typical breakfast sandwich. Each contains eggs, two sausage patties, and bacon slices. Business Insider first reported on the company’s plans to introduce the sandwiches after viewing internal documents from McDonald’s. So, we knew how to create these meat-filled masterpieces. 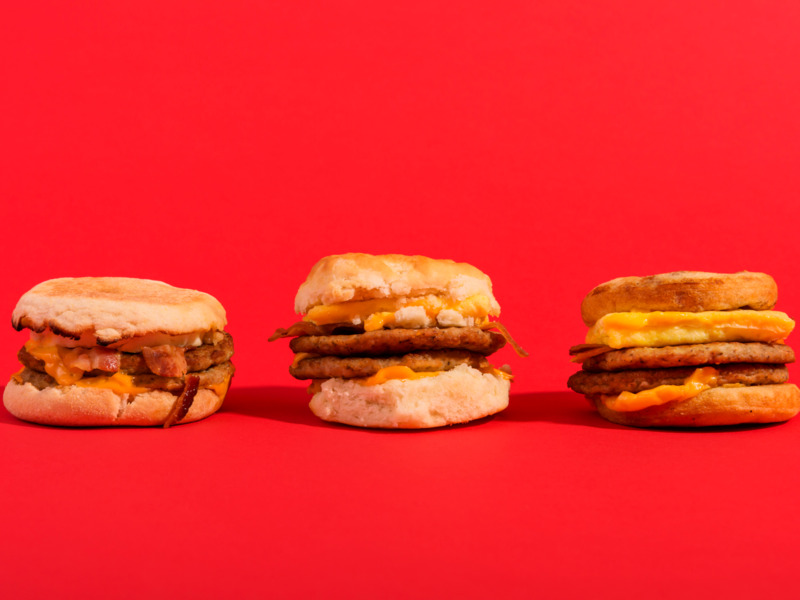 With this knowledge, we crafted our own Triple Breakfast Stacks for a taste test ahead of Thursday’s launch. First things first: The stacks are tall. It’s easy to feel like a cartoon character unhinging your jaw as you try to stuff the Biscuit Stack, the largest of the lot, into your mouth. Despite the decadence, the flavour profile of all three sandwiches was generally embraced by taste testers. 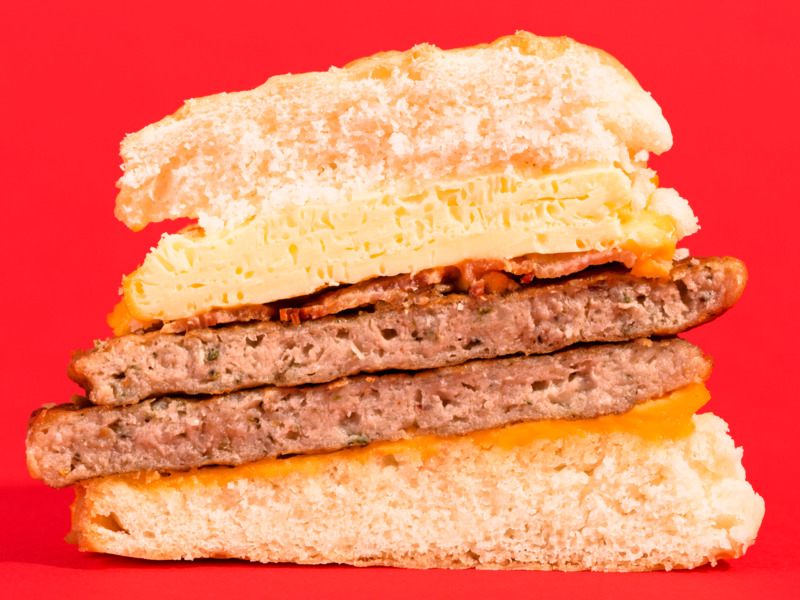 The interplay of sausage and bacon — previously unheard of on a McDonald’s breakfast sandwich — works disturbingly well, with the salty, savoury flavours complementing one another nicely. The second sausage, however, is a bit much. The syrupy McGriddle Stack, especially, packs in enough grease to immobilize the eater for the rest of the day. Should you buy the Triple Breakfast Stacks? If you’re a meat lover, this should be a no-brainer. These breakfast sandwiches push the limit on fast-food meat consumption to new heights. 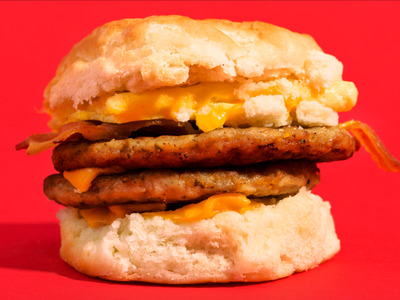 McDonald’s understands what makes a breakfast sandwich work. 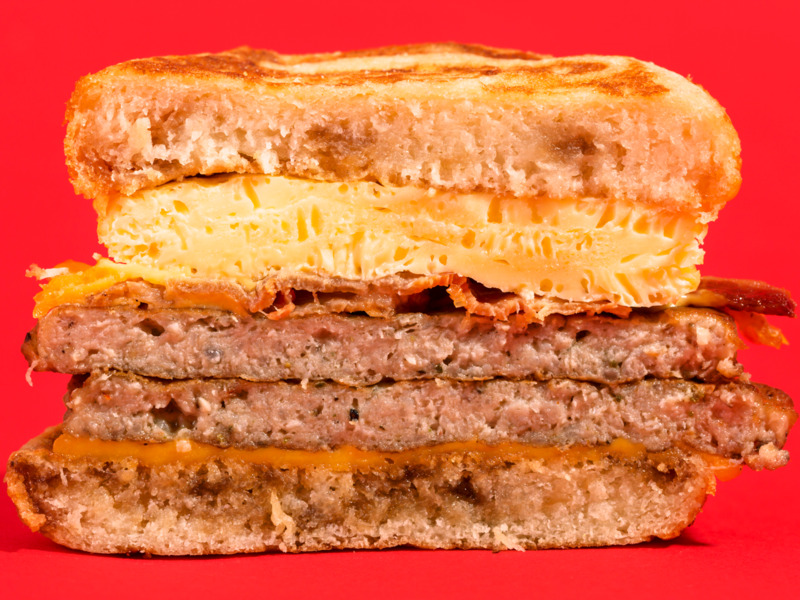 The Breakfast Triple Stacks are greasier than the average breakfast sandwich and won’t replace the classics in our day-to-day diet. But, they’re a disgustingly delectable addition.